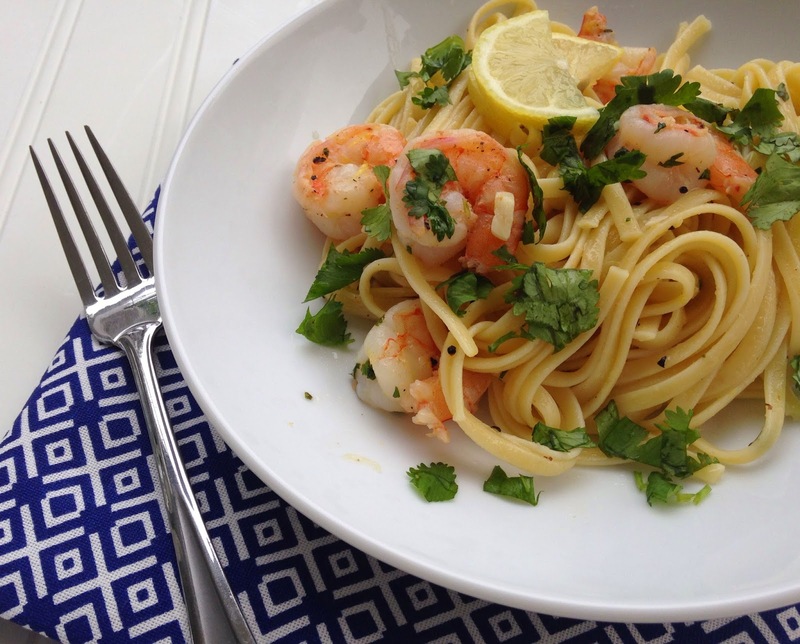 Shrimp Scampi with Linguini + I Had A Baby! Hello there! Remember me? I've been gone for awhile, you know baking and delivering a baby and then surviving the first three months with two kids. I finally feel like I am getting the hang of things on the home front and so here I am, back to blog world with a delicious recipe but more importantly to introduce to you our perfectly sweet little girl. 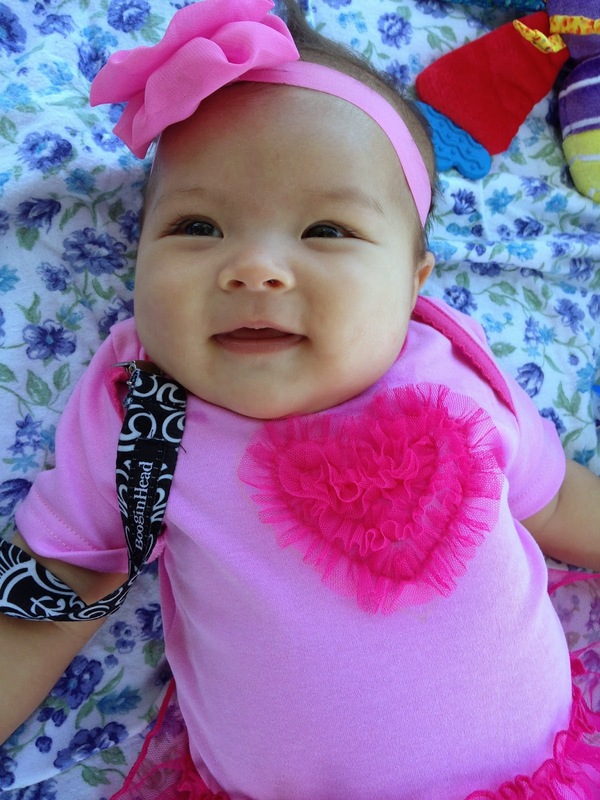 Meet Rose Marie! We call her Rosie. This is Rosie when she was a few days old. This is Rosie now. We're kinda in love with her. Well now that I have caught you up on the latest member of our family– lets dig into the new recipe. Whenever we go to a restaurant the first thing I do is look to see if they have shrimp scampi with linguini, not because I will order it, but because Wor will. He's adorable and when it comes to food– rather predictable. This past Valentine's Day, when I was miserably pregnant, we decided to stay in and Wor volunteered to cook dinner for us. What did he make? You guessed it, shrimp scampi with linguini. It was fantastic and it has been making frequent appearances at our house ever since. He actually asked me to stop making it when people come over for dinner because it means he doesn't get leftovers. This recipe is very simple and comes together super quick. We tend to like a ton of garlic and so if you are insane aren't quite as garlic crazy as we are, I would suggest cutting that amount in half. Boil a large pot of water and add 1 tablespoon salt and the linguine, cook according to package directions. While the pasta is cooking, in a large dutch oven over medium heat, melt the butter and olive oil together. Add the garlic and saute for 1 minute, do not burn the garlic. Add the shrimp, remaining salt and pepper. Saute until the shrimp are just turning pink. Add in the parsley, lemon zest, lemon juice, lemon slices and the red pepper flakes if using and cook for one more minute. Once the pasta is al dente, drain the pasta in a large colander and dump the pasta into the dutch oven. Toss the pasta with the shrimp and sauce until well coated and combined. Serve.